Even though most us today store our treasured photos on CD’s, there is still nothing like sitting down with the old album and flipping through the family photos and tin types. With that in mind, I designed a knitted cover for my daughter’s family album. 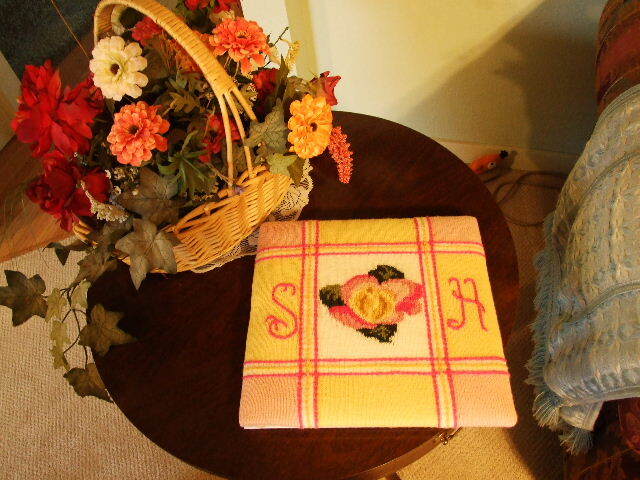 It was personalized with her initials, and created in her color scheme. Now, image your initials and color scheme- from there the possiblities are endless. I just finished it, and thought I would give you a sneak peak. 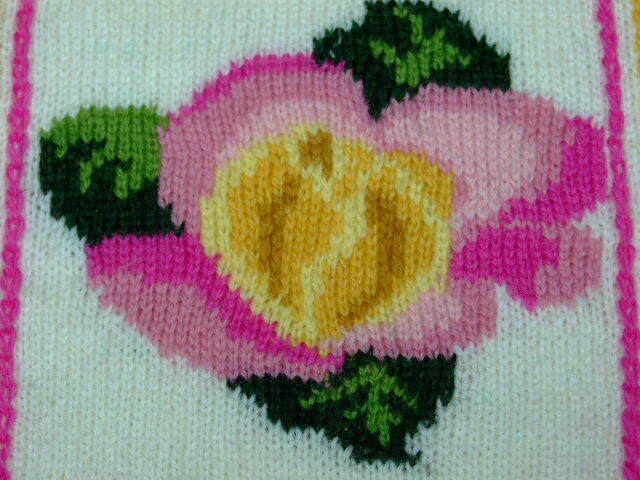 I will be offering the pattern sometime in December at my Etsy shop. For a small additional fee, I will be happy to chart your letters for you. * I have created these initials with Cable Chains, but you can also do them with a crochet hook. This pattern is designed to fit over a 12 by 12 post bound album. Actually measurements are 12 3/4 by 13 1/2 inches. This photo cover was knitted with Palette yarns from Knit Picks. It’s construction incorporates Intarsia, and Cable Chains (which are demonstrated in my free tutorial offered on this site). 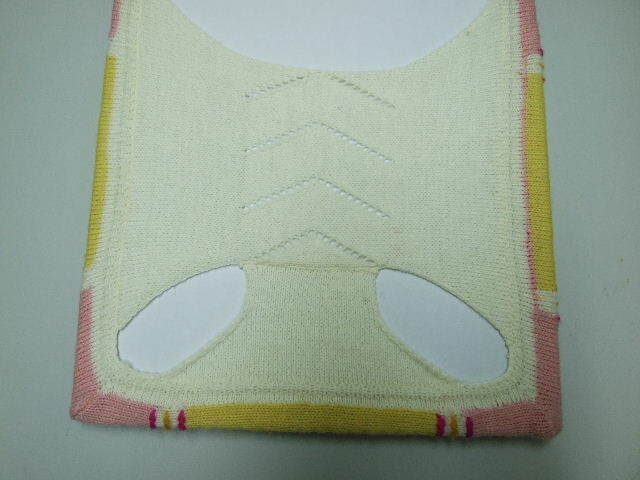 The back construction that holds it in place, provides an extra pocket for pictures that can be placed later. You can construct the photo album yourself, pad it up, then knit the cover, and you have created an heirloom for your family to share for years.